This mouth watering creation is made of 65% Peruvian chocolate with pecans that are soaked in handcrafted Texan Stingray rum, blackstrap molasses and vanilla bean. 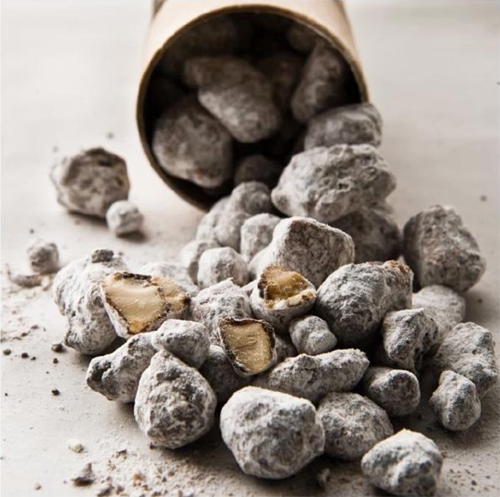 Chubby Nuts are a highly addictive snack made with whole hazelnuts, almonds, macadamia and soy which are tossed in egg whites, powdered sugar, sea salt and candied in the oven. Then...rolled in white chocolate and finished with 72% South American dark chocolate and powdered sugar. I think I need Chubby Nuts in my life. Her packaging is amazing. Katherine, "All our products are housed in kraft and/or apothecary bottles with brown stickers. No ribbons and no bows." That's my kind of packaging. I really love her gift sets, which any lover of chocolate would be thrilled to receive. 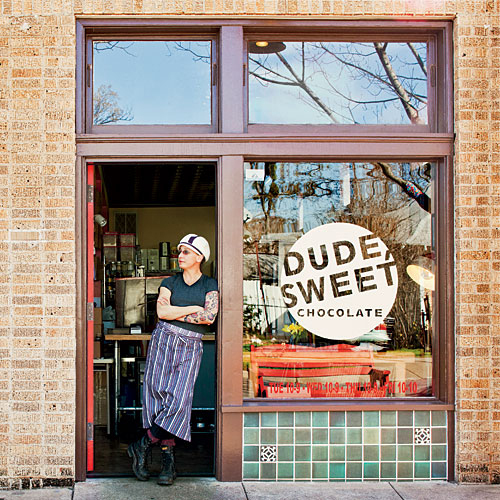 Her bottled inventions include Tequila Chocolate Sauce, Bourbon Chocolate Sauce, Vodka & Coffee Chocolate Sauce....yum. See all her gift options here.